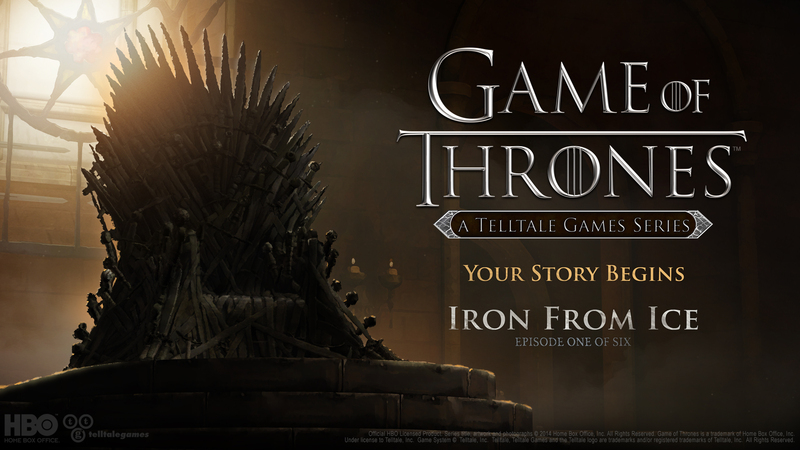 Telltale Games has announced the first Look at the Six-Part Episodic Game Series Based on the Emmy Award-Winning Television Series, Game of Thrones. Based on the award-winning HBO television drama series, Game of Thrones: A Telltale Games Series tells the story of House Forrester. Caught up in the events of The War of the Five Kings, they are placed in a precarious position where members of the household must do everything they can to prevent the house from meeting its doom. Today we can announce that some cast members of the series will reprise their roles in the game. While players will control five members of House Forrester in their story, the series will have them interacting with fan favorite characters throughout the season, including Tyrion Lannister performed by Peter Dinklage, Cersei Lannister performed by Lena Heady, Margaery Tyrell performed by Natalie Dormer, and Ramsay Snow performed by Iwan Rheon. Additional cast members will appear in later episodes. The game series is based on the world, characters and events seen in HBO’s TV show, which in turn is based on George R. R. Martin’s books (A Song of Ice and Fire). The events in the game series begin towards the end of Season Three of the series, and end right before the beginning of Season Five. Players will visit familiar locations such as King’s Landing and The Wall, as well as unfamiliar locations such as Ironrath, the home of House Forrester. House Forrester is a noble house from the Wolfswood in the north of Westeros. Bannermen to House Glover, they have always offered unswerving loyalty to the ruling great house of the North – the Starks. The Forresters are seated at Ironrath, an imposing stronghold surrounded by towering ironwood trees. Built over fifteen hundred years ago by Cedric Forrester and his triplet sons, Ironrath is a testament to the strength and endurance of Ironwood. The Forrester house words are ‘Iron from Ice’, which echoes their belief that – like the ironwood itself – the adverse conditions and unforgiving landscape of the North only makes them stronger. The game will be played from five different points of view. Each is a member of House Forrester; either a direct family member, or a person in service to the House. Scattered across Westeros and Essos, each will play their part in seeking to save House Forrester from destruction. Playing as five characters not only reflects the epic scope of Game of Thrones, but is also something that the player needs to be mindful of. This is because the actions of one character can ripple out to affect the rest of House Forrester. Multiply the actions of one character by five, and you’re truly playing the Game of Thrones… where you win, or you die. Additional details on the series and its upcoming premiere episode, ‘Iron From Ice’ are forthcoming. Stay tuned to the Telltale Games Blog, twitter, and Facebook pages for more information as the premiere approaches, the first of six episodes, which will be arriving for download soon on PC/Mac, PlayStation 4, PlayStation 3, Xbox One, Xbox 360, and iOS, with additional platforms to be announced. 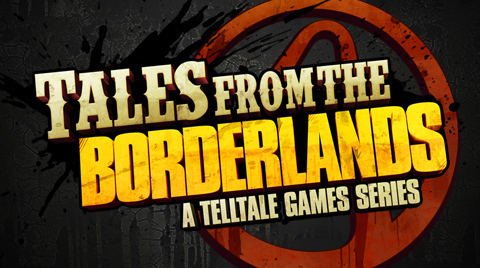 Telltale Games welcomes you back to Pandora with the very first look at Tales from the Borderlands. Announced less than a year ago, and shown behind closed doors at E3 and PAX Prime, today is the FIRST time the studio are sharing a look at the game to fans across the world. The final casting details have also been revealed. The season will feature Troy Baker as Rhys, Laura Bailey as Fiona, Chris Hardwick as Vaughn, Erin Yvette as Sasha, Patrick Warburton as Vasquez, Nolan North as August, and Dameon Clarke as Handsome Jack. Additional casting details from the season are yet to be announced. Set on the unforgiving world of Pandora after the events seen in Borderlands 2, Tales from the Borderlands is a five part episodic game series full of Borderlands’ trademark humor, following two adventurers on their quest for greatness. You’ll play as Rhys, a Hyperion ‘suit’ with dreams of being the next Handsome Jack, and Fiona, a Pandoran con artist looking to score her biggest ever swindle. Thrown together as unwilling partners in an adventure to recover cash they both think is theirs, their journey will take you on a wild ride where gangsters, bandit lords, and Vault Hunters are just some of the obstacles you’ll encounter, in this new take on the award-winning universe created by Gearbox Software. The season premiere episode of Tales from the Borderlands, titled ‘Zer0 Sum,’ will soon be available for digital download worldwide across multiple platforms. Stay tuned to Telltale Games on Twitter and Facebook for the latest details on release dates. Each episode will be available via PlayStation Network for PlayStation 4 and PlayStation 3 for US$4.99 or equivalent. Alternatively, consumers can purchase a Season Pass for US$19.99 or equivalent, which entitles players to all five episodes in the season as they become available. The season will also be available on Xbox Games Store for Xbox One and Xbox 360 for just US$4.99 or equivalent per episode. Players will also be able to purchase a Season Pass upgrade for US$14.99, which entitles players to Episodes 2-5 as they release. The series will also be available for PC/Mac via the Telltale Online Store, Steam, and other online digital distribution outlets as a Season Pass for US$24.99 or equivalent that includes entitlement to all five episodes as they release. The series will also be coming to compatible iOS devices via the App Store and to Android-based devices before the end of 2014. Codemasters have announced Toybox Turbos will bring a new world of retro table top racing to Windows PC from Steam on 12th November priced at £11.99 and will be coming soon to the Xbox Games Store for the Xbox 360 games and entertainment system from Microsoft and to the PLAYSTATION 3 computer entertainment system from the online store. Featuring gameplay that reflects Codemasters’ fondly remembered miniature racing titles of the ‘90s, Toybox Turbos delivers a pick-up-and-play arcade racing extravaganza as gamers take a nostalgic tour of 18 obstacle and short-cut filled circuits inspired by childhood locations. Players will speed past spilt sticky jam on the kitchen table, dodge flaming Bunsen burners as they take their opponents back to school and zip past the runaway train in races around a railway set and more. Bursting with classic retro racing fun, Toybox Turbos includes four-player local and online multiplayer options, perfect for turning friends into foes with one-more-go gaming sessions that race into the night. Whether playing locally or online, or with a mix, Toybox Turbos brings alive the glory days of multiplayer score-settling competition with rapid-fire rounds designed for all-action racing. 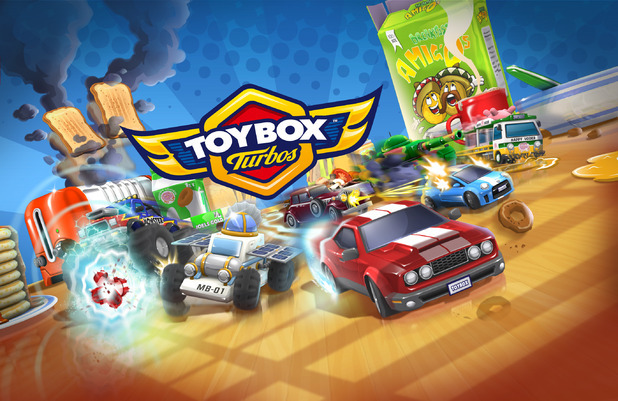 Toybox Turbos features 35 vehicles to collect and customise, ranging from sports cars and dragsters to emergency vehicles, taxis, ice cream vans, construction vehicles, milk float, moon buggies and more! Each can be raced in six super-charged game modes; players sprint for the line in Classic Races, set their best time in Time Trial, pass as many turbocharged toys as possible in Overtake, avoid getting wiped out by the tide in Escape, beat the clock in Countdown and take down bosses in Elimination mode. To gain the advantage, gamers can collect and use a range of power-ups spread liberally around each circuit, including, but not limited to, machine guns, mines, electronic pulses and, of course, giant hammers! As fans around the world prepare for a new era of Call of Duty this November with the release of Call of Duty: Advanced Warfare, Activision Publishing, Inc., just delivered a smooth transition for Xbox 360 and PlayStation 3 computer entertainment system fans interested in playing Sledgehammer Games’ new title on next gen. Through Activision’s program to ease the transition between console generations, gamers who purchase a copy of Call of Duty: Advanced Warfare digitally for the Xbox 360 games and entertainment system from Microsoft by 31st March can download the version for Xbox One, all-in-one games and entertainment system from Microsoft for free. The same goes for PlayStation fans, those who purchase the game digitally on “PS3,” can also download the PlayStation 4 computer entertainment system version for free. This offer for full-game free upgrade within console family is limited to purchases of Xbox 360 and PS3 digital versions made by 31st March, 2015, and does not apply to physical game copies. Additionally, all multiplayer stats transfer. Plus, all DLC purchased for in-game use, including Season Pass transfers too for free, as long as players’ Xbox Gamertag or PSN ID, remains the same. 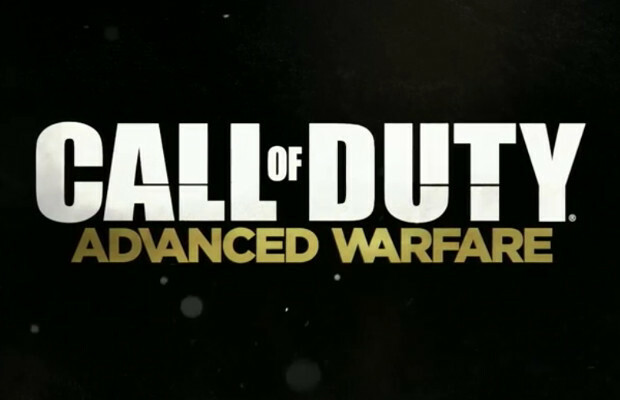 Call of Duty: Advanced Warfare launches worldwide 4th November. Anyone who purchases a physical or digital Day Zero version of the game, for the first time ever, can start playing as much as a day early, on Day Zero, Monday, 3rd November. Beyond the special early access to the game, the Day Zero Edition also comes with two custom weapons: the AK-12G Assault Rifle and Crossbow-B2, as well as Double XP on 3rd November. Additional offers may be available at retailer partners worldwide. Check with local retail outlets for further information. Xbox One digital copies will be available for pre-order starting soon, and PlayStation digital copies are available for pre-order now. Additionally the Season Pass is available for purchase on all platforms. 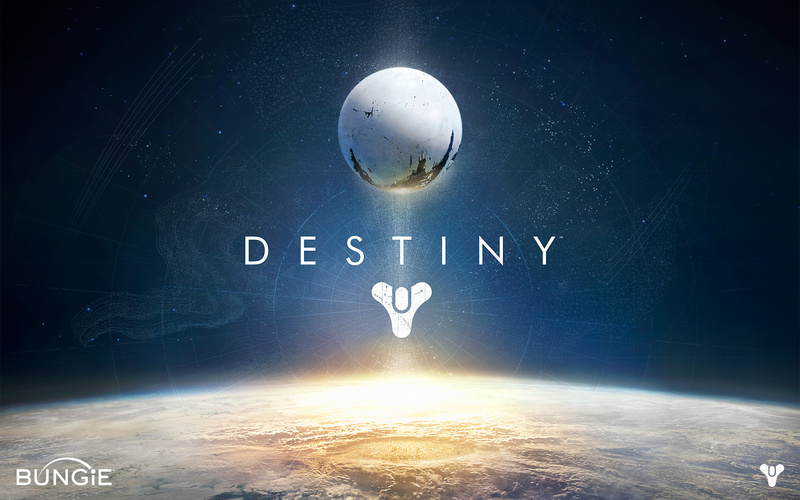 Activision Publishing, Inc., a wholly owned subsidiary of Activision Blizzard, Inc announced that the company sold more than $500 million of Destiny into retail stores and first parties worldwide as of day one, making the game the biggest new video game franchise launch in history. Destiny launched at over 11,000 midnight openings around the world, as fans in over 178 countries (Source: Radian6) shared their fervour on YouTube and in social media. BioWare, a division of Electronic Arts Inc. (NASDAQ: EA), today announced the cooperative dungeon crawling multiplayer mode in Dragon Age: Inquisition. Created alongside the massive single player campaign, this marks the first time gamers can play with their friends in the Dragon Age franchise. The multiplayer mode in Dragon Age: Inquisition will feature action-packed four player cooperative quests separate from the single player open world story. In Dragon Age: Inquisition’s multiplayer mode, four players will team up across a range of multiplayer quests and objectives, exploring intricate dungeons and vanquishing all who oppose them. 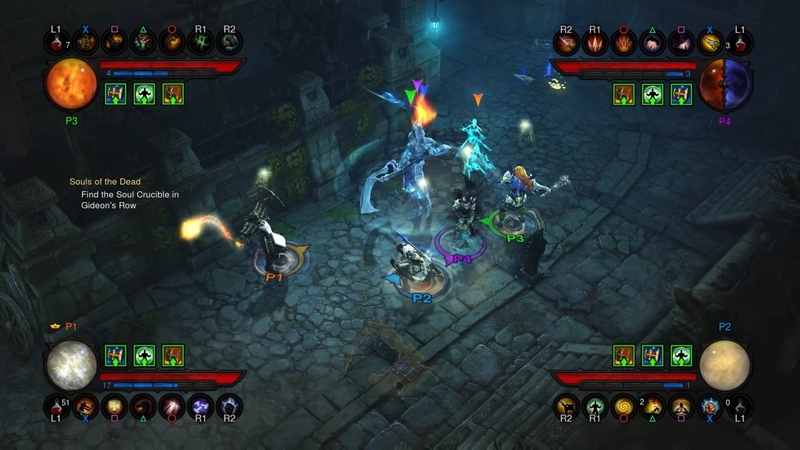 While dungeon-crawling, players will collect loot, salvage items, craft new weapons and armor, and unlock new characters. At launch, players will be able to unlock up to twelve characters across the three Inquisition classes of Legionnaire, Reaver and Mage, each playing a different and strategic role in multiplayer combat. Multiplayer in Dragon Age: Inquisition is a standalone experience from the open world story players will embark in the main game, and will not have an impact on single player progression or story. 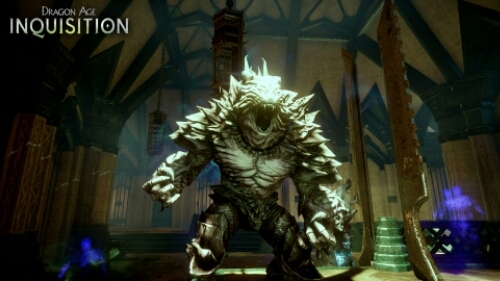 Players can pre-order Dragon Age: Inquisition to get special bonus content. Visit the Dragon Age website for more information on editions, including the Deluxe Edition available for pre-order and the upcoming Inquisitor’s Edition. A couple of new games in the charts this week with Diablo 3: Reaper of Souls Ultimate Evil taking the top spot from The Last Of Us: Remastered. Lower down the chart Tales of Xillia 2 has entered at number ten. As we head towards the stretch towards Christmas the charts should begin picking up pace once again. These charts cannot be reproduced either in print or online without obtaining permission from Ukie. If you wish to reproduce the charts in print or online, please contact david.smith@ukie.org.uk for the appropriate license. Train2Game News Resident Evil remake again! Capcom today announced Resident Evil for PlayStation 4 computer entertainment system, PlayStation 3 computer entertainment system, Xbox One, the all-in-one games and entertainment system from Microsoft, Xbox 360 games and entertainment system from Microsoft and PC. The hugely popular Resident Evil series, having sold over 61 million units to date, returns to its roots with a remastered version of the critically acclaimed masterpiece, Resident Evil. Originally released in 1996, Resident Evil was then “remade” in 2002 from the ground up with new visuals, gameplay elements, environments and story details while retaining the survival horror atmosphere the series had become synonymous for. Both fans of the franchise who want a trip down memory lane and those who have yet to experience the game that coined the term survival horror for the gaming world will appreciate this definitive re-visit of that iconic 2002 Resident Evil title. Using the latest resolution enhancement and 3D model technology, game resolutions and textures have been significantly upgraded, including 1080p support on next-gen consoles, resulting in characters and backgrounds coming to life in greater detail than ever seen before in Resident Evil. Not only will the graphics impress but the tense sound effects have been fully remastered with 5.1 surround support for a greater gaming atmosphere. Players are now able to choose not only between experiencing the terror at the classic 4:3 ratio or a stunning 16:9 widescreen mode but also the type of control scheme they play with. The classic control scheme remains for fans of the original play style or there’s an alternative scheme where the character moves directly in the direction of the analogue stick, utilizing the standards of the current generation of gaming. Both the control scheme and the display options can be toggled between at any time during gameplay. The intense horror fans first experienced with the release of the original Resident Evil is back. Taking place in the now notorious Raccoon City, players will choose to take on the role of either S.T.A.R.S. 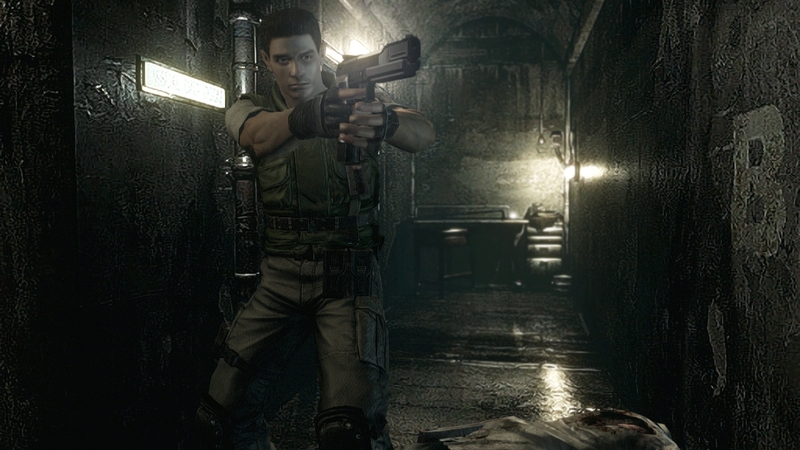 (Special Tactics and Rescue Service) team member Chris Redfield or Jill Valentine, who have been sent into the city to find the missing Bravo team. When the team is suddenly attacked by a ferocious group of mutated dogs, desperate for an escape they take shelter in the Mansion, but will they ever get out alive again? Players will need to be brave as they adventure through the dark, enclosed spaces searching out the horrors that await them. With limited ammo and survival items available gamers will need to keep their wits about them to survive the various traps and puzzles that greet them at every stage. Resident Evil will be available to purchase digitally across North America and Europe in Early 2015. Activision Publishing, Inc. and Bungie, today confirmed millions of people have played their upcoming and award-winning game Destiny during their beta test to gather vital information in preparation for launch. The Destiny Beta included a sampling of major activities featured in the full game. The beta began first on PlayStation 4 and PlayStation 3 on July 17 and came to a close Sunday evening, with 4,638,937 unique players participating. I got the pleasure of trying the beta myself on the Xbox One and I was blown away by the game. It was much more than I was expecting and will hopefully be a day one purchase for myself. After initially requiring a beta code for access, Bungie is opening up the Destiny beta to all gamers on Xbox One, Xbox 360, PlayStation 4, and PlayStation 3. Starting today at 4 PM PDT, everyone will be free to play the ongoing beta. The only requirement will be an Xbox Live Gold or PlayStation Plus subscription, depending upon your console of choice. To start playing, check out the dashboard or store on your system for a link to download the beta. This will ensure everyone who wants to try Destiny has the opportunity to do so before the beta comes to an end on Sunday night. It should also make it easier for those with more than one console to decide which system they want to play the game on when it launches on September 9. But remember, the Xbox One beta doesn’t run at 1080p, but the final game is expected to. Bungie has had a number of surprises for beta testers since the beta began last week. Before today’s announcement, it offered a limited time Iron Banner event over the weekend and then brought the beta back online early after scheduled maintenance. And, as previously announced, players who sign into the game anytime between 2 PM PDT on Saturday and the end of the beta will receive an exclusive emblem for use in the full game. After being a pre-order bonus, some of those who have already purchased the game are feeling betrayed by Bungie for allowing the bonus to be used by everyone. Remember the Beta ends this Sunday for those who want to take part. Welcome to the official Train2Game blog, a key source of games industry news and discussion for everyone from developers to Train2Game students and their parents. You can find out more about both our Editor and Train2Game on our About page. 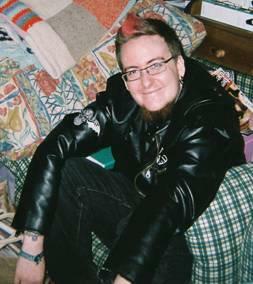 Don't forget you can find out more about Mark on our about page, above. Email our Suggesion Box and tell us what you want us to write about here.